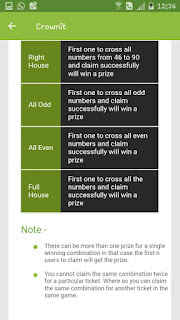 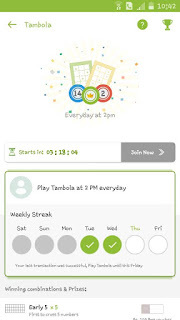 Crown it App: It is all about Rewarding for every activity done by user in that app.Activities Includes Uploading Daily shopping,utility and online bills(Printed bills) and get rewarding for upload bills through in the form of Perks(offers,discounts) and wednesday rush tickets (Entry ticket to wednesday's lucky draw) etc.. 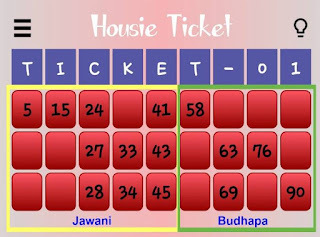 Along with them most fun and exciting activity is Tambola/Housie. 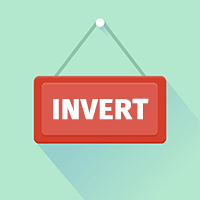 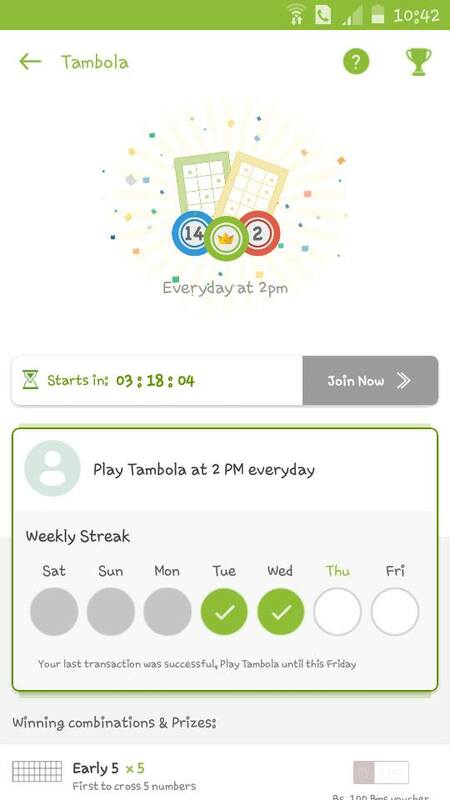 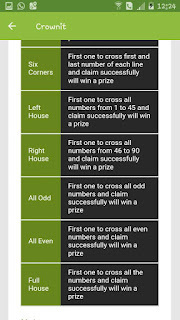 Everyday I sticked to this app at 2.00 p.m for this activity.It start every day evening 2 pm and close when all tasks completed and full housie done by any user.Before to play the game we need ticket to play this game.This ticket can be obtained when you upload any bill for any activity in their app you automatically get this ticket.Using this ticket we need to buy a entry ticket before starting the game.App generates Automatic entry ticket(Housie ticket with some numbers). 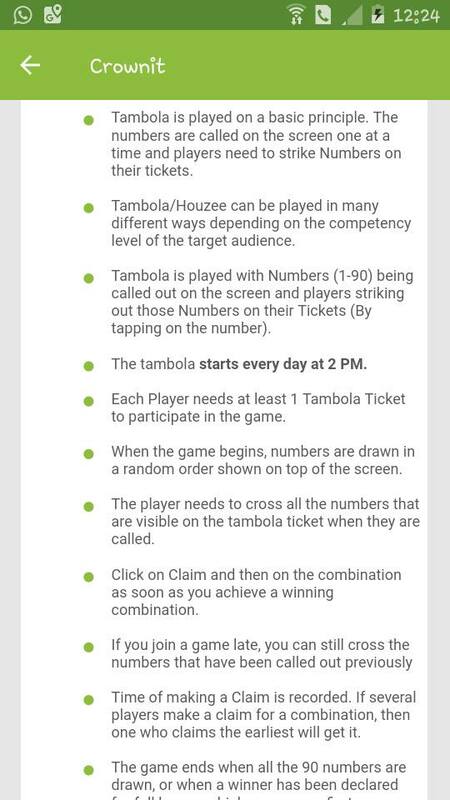 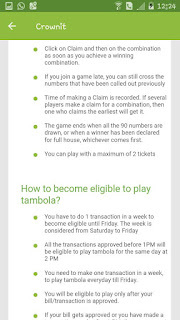 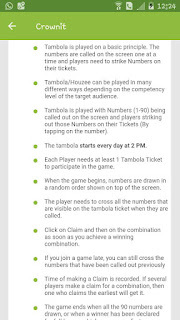 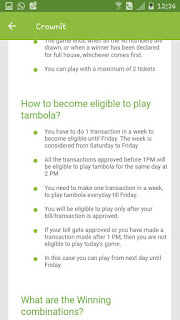 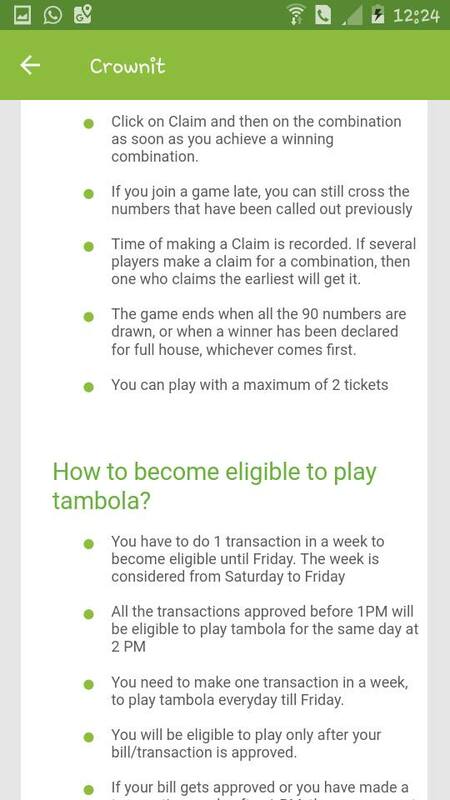 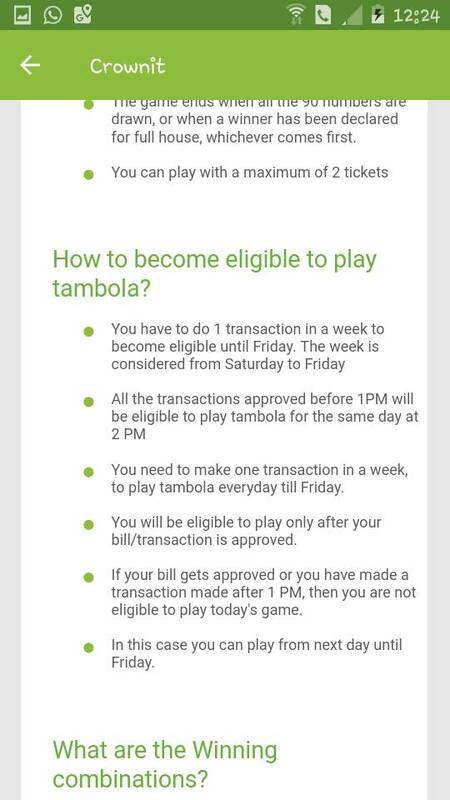 Exactly at 2 pm on the Tambola screen show random number and we need to strike it off on our ticket numbers.